The first formal observance of his birthday took place in 1866, the year after his assassination, when both houses of Congress gathered for a memorial address. While Lincoln's Birthday did not become a federal holiday like George Washington's, it did become a legal holiday in several states. The Lincoln Memorial - Provided by the National Park Service and the U.S. Department of the Interior. 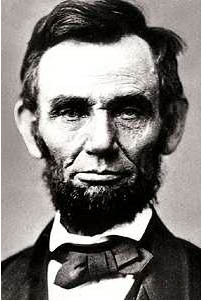 An Overview of Abraham Lincoln's Life - This page is part of the Abraham Lincoln Research Site created by Roger J. Norton, a former American history teacher. Abraham Lincoln Birthplace National Historic Site - This site focuses on Lincoln’s life in Kentucky. Provided by the National Park Service and the U.S. Department of the Interior. Lincoln Home National Historic Site - Provided by the National Park Service and the U.S. Department of the Interior. Ford's Theatre National Historical Park - Provided by the National Park Service and the U.S. Department of the Interior. The Perpetuation of Our Political Institutions - Read the full speech given by Abraham Lincoln in his Address to the Young Men’s Lyceum of Springfield, Illinois.